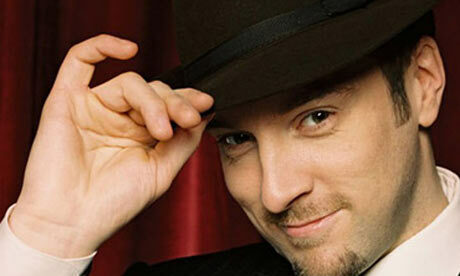 Derren Brown is a renown hypnotist/illusionist and atheist skeptic. I’m only reasonably familiar with his work, but it’s clear that the former description of him is a very big part of why the latter description also applies to him. Quite often in his television programs he is trying to demonstrate the power of suggestion, and then to show that much of religious experience can be explained by this same phenomenon. And though I’m a Christian, you may be surprised to find that I actually appreciate his work and what he’s saying. He made a documentary called “Miracles for Sale” in which he set out to show that many so-called “faith healings” are really just blatant illusions, or due to the power of suggestion. And I think that’s absolutely true. On the program he spoke to a man named Mark Haville. Mark is a former “faith healer” having seen first hand the psychological manipulation in the ministry, but nevertheless remains a steadfast Christian. Though there are a lot of false experiences of God, it doesn’t mean that there is no God or true experiences of Him. And when we refer to “false experiences”, we can speak of those in which people have deliberately fooled us, or also of those times when we can fool ourselves. In Derren Brown’s latest program, “Fear and Faith”, Derren “induces” a staunch atheist, Natalie, to have a religious experience using the power of suggestion. And once again, this is not something that Christians are oblivious to. In my own Church the theme often comes up in sermons; that we need to be very careful to discern the difference between a true experience of God and a false one. Our pastor, for example, is very much against the practice in many Churches known as “altar calls”. This is where the speaker will, at the end of a sermon, ask people who want to be saved to come forward to the altar to commit their lives to Christ. But these altar calls always follow a very emotion packed message, and there is a very real danger that these commitments are really just based on the mood created in the meeting, and actually have no “divine basis”. In the program, Derren very deliberately used psychological techniques to elicit an emotional response from Natalie. Sat in a Church, he spoke to her about her father in order to evoke in her the emotion of fatherly love like we find between God and Man; and then he spoke to her about things in life having “purpose”, which naturally implies the guiding hand of the Divine since nature or life itself has no mind with which to purpose anything. After the skillful illusionist had set up these emotions, he left Natalie on her own. Once alone, she began to weep, and later described her experience as something like feeling the love of her family and friends magnified a thousand times. At this, Derren clearly feels as though he’s succeeded in creating a false religious experience; and of course we all saw how it was conjured up. Nevertheless, I’d like to suggest otherwise. God created Mankind with a range of emotions. We all feel love for others, and the need to feel loved. And I think that these emotions can be how God reveals Himself to us all. 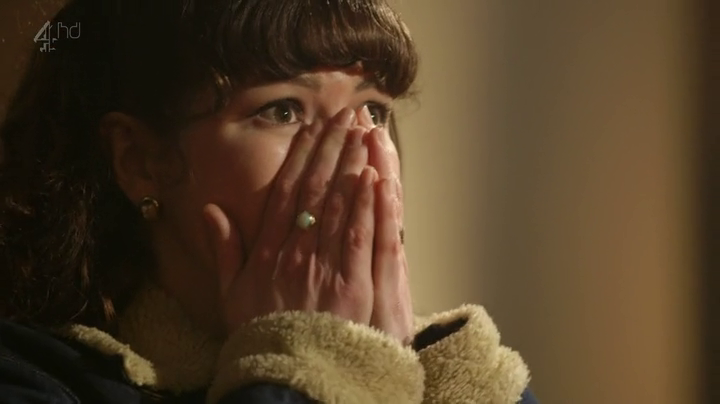 I don’t think it really matters what pretense Derren Brown had for stimulating these emotions, I think that right there and then, as Natalie was pondering the majesty of God and the magnitude of God’s love, God was reaching out to Natalie. It doesn’t make sense for the skeptic to say “but it was just emotions” as though that explains away God. Neither do I think it’s right for my own pastor to imply that an altar call is worthless if it’s “just emotions”. I would agree with him in the sense that we don’t want to be misled into thinking we’re saved when we’re not, but God draws us to Himself little by little in life. I probably responded to at least five altar calls in my life before I was saved, and when I truly committed to Christ I was alone, sitting at a desk. But surely those altar call experiences were still times in my life when God had made an appeal to me. I certainly wouldn’t say that Natalie is now converted, but I would say that she may well have had a true religious experience. We don’t know what really went on in Natalie’s mind at that moment, the program doesn’t reveal much, but I did notice that as she stood there weeping in the Church, she said aloud the words “Sorry. I’m so sorry.” So it’s clear that “feeling love” is not the whole story of what Natalie was thinking at that moment; and if you ask me, the most clear sign of a genuine experience with God is to be thoroughly convicted of our sins, and something like “sorry” would be the first thing to come out of anyone’s mouth. Derren Brown evoked an emotional response in Natalie by reminding her of the love of her father, for example. And the Bible can evoke these emotions in us also. This is why, after all, God is spoken of as “Father”. God knows how to communicate with His own Creation; we should expect Him to appeal to our emotions as well as our intellect. Just as we can look at the world around us and reason that it must have been Created, we can read a story like the Prodigal Son and understand emotionally, in our hearts, what God is like. But even Jesus spoke parables about those who would experience the revelation of God and even respond to it, and yet for one reason or another, later fall away (see Matthew 13). We may all have experiences like Natalie’s... the question is, what are we going to do with them? Are we going to say “Ah, it’s just my emotions playing tricks on me.” Or are we going to realize that when the God of the universe reaches out to you personally, it’s quite reasonable to be touched and moved by it! Derren Brown is quite right, humans are most probably 'hard-wired' to belive in God. However, the (socialising) reasons he offers for why this should be so, are wrong. 'Hardwiring' to the degree he suggests, requires a far greater time span. Most of our 'hardwiring' dates to, and before, our ape-ancestry. Therefore, if we are 'hardwired' to believe in God, but allowing for the inaccurate reasons he offers, what then is the true reason for this 'hardwired' condition? Perhaps, even in our earliest human (pre-human even)development, God may have attuned us, to His presence. Why not; it's surely as valid an hypothesis as any other? My final point: I can't help wondering if the young lady in question, Natalie, is now bereft of that moment of revelation; false though it may have been? She is not now, as she once was. Once a confirmed atheist, she experienced an exaltation beyond all others; only then, to have the experience explained away. Is she now the same athiest as before; or now an atheist bereft of that momentary joy, that joy beyond all others? I can't help feeling that Mr.Brown played a seriously mean trick upon that young woman. All for the sake of an inaccurate premise and, a dose of, as of yet, only partly understood science. Derren Brown has done, that which he suggests others have do: offered another alternative opinion. Where Brown ceased, science will eventually surpass ... be it one way or another. The psychology, and neural basis, of 'belief' is in its infancy; Brown jumps the gun, for the purposes of entertainment. I just hope that young Natalie realises that too. I found the episodes with Nathalie to be highly interesting and inspiring. Personally I do not doubt that she came in contact with genuine unconditional love, which in my opinion certainly is not just an emotion. To which extent she herself connected this love with an agent outside is however unclear and I believe Derren afterwards did what he could to keep her away from connecting the love with a source outside of herself. I would love to have a follow up on Nathalie, to see how she relates to the experience today and to see if Derrens meeting with her in the studio one or two weeks after the experience, affected her connection negatively. For me the point is not to have a formal belief in God, but to be in living connection with the true, impersonal love.